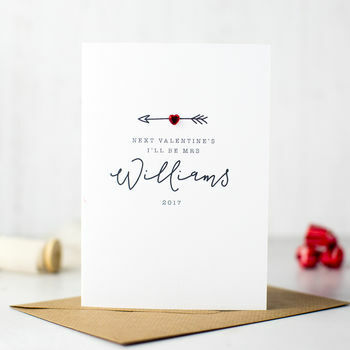 Our cute, hand embellished valentines day card is the perfect personalised valentines card for your fiance, personalised with your future surname! This product has been reduced from £4.50. As the product has not previously been available, the original price reflects the RRP.